Welcome to our last episode of the Back to Basics series. In our last two episodes, we spoke about the Why when it comes to real estate investing and the How. 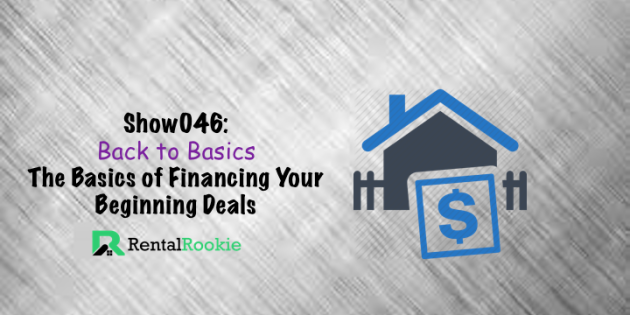 On today's session, Kirk and Emily speak about the basics of financing your initial real estate deals. Are there multiple ways to finance a real estate deal. OF Course. The reality, however, is that when you are just starting out your options may be a little more limited because of your lack of a portfolio. Therefore, understanding that there are a few different avenues that you can take as a Rookie. Tune in to find out how house hacking can be a viable option for you and obtaining your first deal. Not only that, Kirk and Emily discuss both the Pros and Cons of buying, living in and turning a property into a rental and buying a traditional investment property right off the bat. I love your back to basic series idea – too many websites / podcasts keep searching for new topics. After a while the topics are esoteric and just more complicated than they need to be. Since I bet you want people to actually take action, keeping it simple and revisiting the fundamentals are key! Thanks Brian! I appreciate your feedback and totally agree. It never hurts to revisit the basics and make sure we are giving actionable advice to people getting started.